We are going to skip ahead and look at the Tenant records. 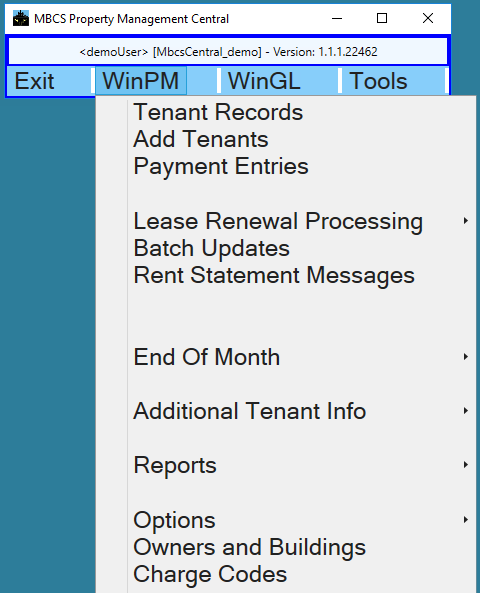 Start by clicking on WinPM then move the cursor down to and hover on Tenant Records and click on it from the pop-up menu. 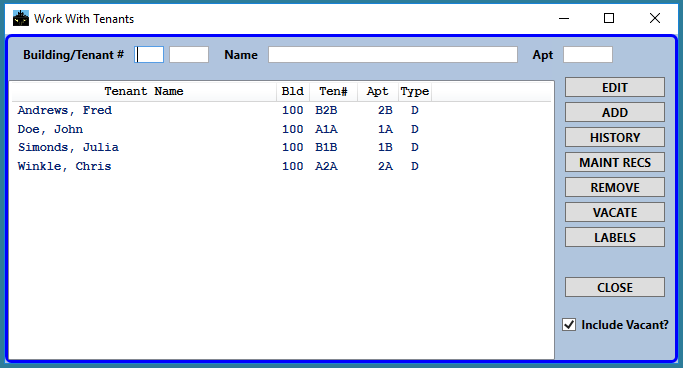 From here you can Edit and Add Tenant Records, examine the perpetual tenant charge and payment history, unit maintenance and improvement records, and vacate apartments.